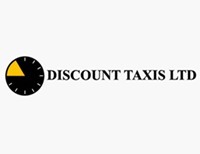 Discount Taxis was formed in 1989 to provide lower priced taxis for the people of Auckland. We have approximately 250 vehicles in our fleet including both cars and mini vans for up to 9 passengers. We offer super low set cash fairs to and from the Auckland Airport. * Ask us about a special airport fare from your area. Discount Taxis Ltd. was formed in 1989, New Zealand owned, but is proud to have drivers from all around the world. We provide excellent service, and are appreciated by many millions of customers who have happily, economically & safely transported to their destinations. We provide lower priced taxis and we have approximately 250 vehicles in our fleet including both cars and mini vans for up to 9 passengers. Discount Taxis offers airport services at super low set fares to and from the Auckland Airport.